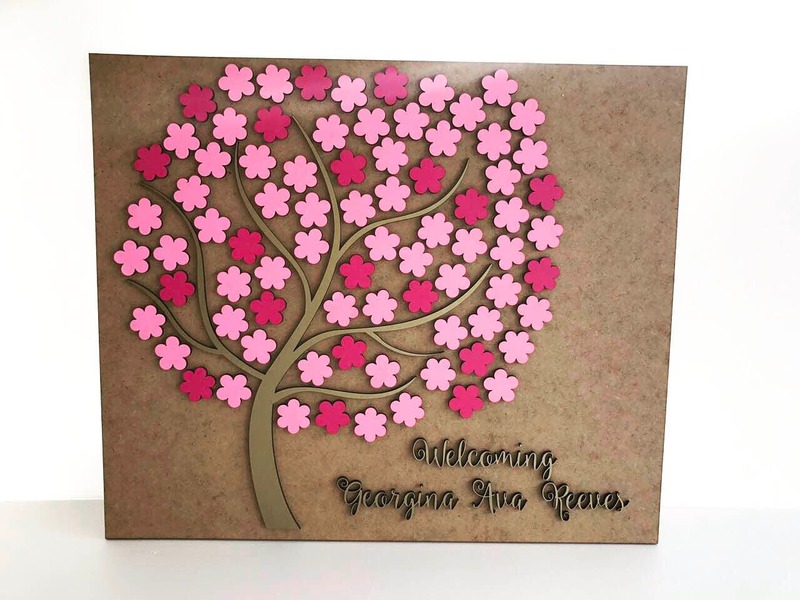 This 3D Wedding Guest Book can be used as a guestbook or as a book of wishes to the bride and groom. This Alternative guestbook is a marvelous wedding token. Your guests sign or write messages on the flowers. 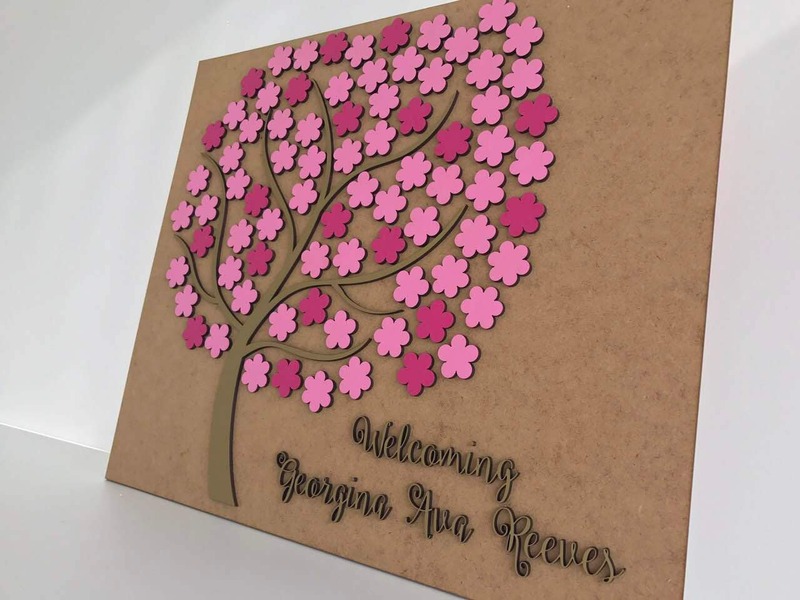 The tree and the flowers are made of wood and face finish with 3M coloured film.